The 2007 Annual General Meeting was held in Mandurah on 17 February. Max Smith was re-elected President, Sandra Snook, Secretary and Vicki Smith, Treasurer. Members voted on a proposed trip to Darwin and surrounding area for their major trek for 2008. 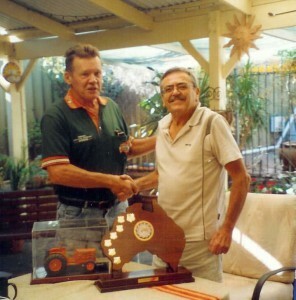 One of our founding members Jock Sturrock, was the recipient of the Tail End Charlie Award for outstanding services and commitment to the club since its inception.